Ash and gas began permeating the air surrounding Bali’s Mount Agung on Saturday, November 25th. According to Australia’s Bureau of Meteorology, as of today, November 27th, the ash has now spread about 30,000 feet into the air above the volcano’s peak. The Bureau expects eruptions and ash-fall to continue for the next 24 hours. Early this morning, CNN reported that the National Agency for Disaster Management issued a severe Level 4 volcano warning for Bali residents and tourists. The high-level warning was released due to “the possibility and imminent risk of disaster,” BBC News noted. Ngurah Rai International Airport in Denpasar is currently closed until Tuesday morning. This closure has resulted in the stranding of about 59,000 domestic and international passengers. 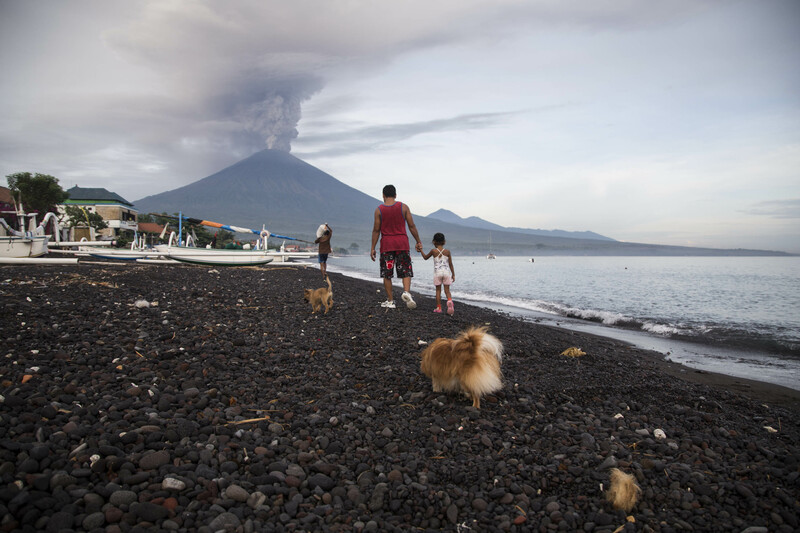 Officials have also ordered 100,000 people to evacuate from areas surrounding the volcano. According to BBC News, only 40,000 have done so thus far. 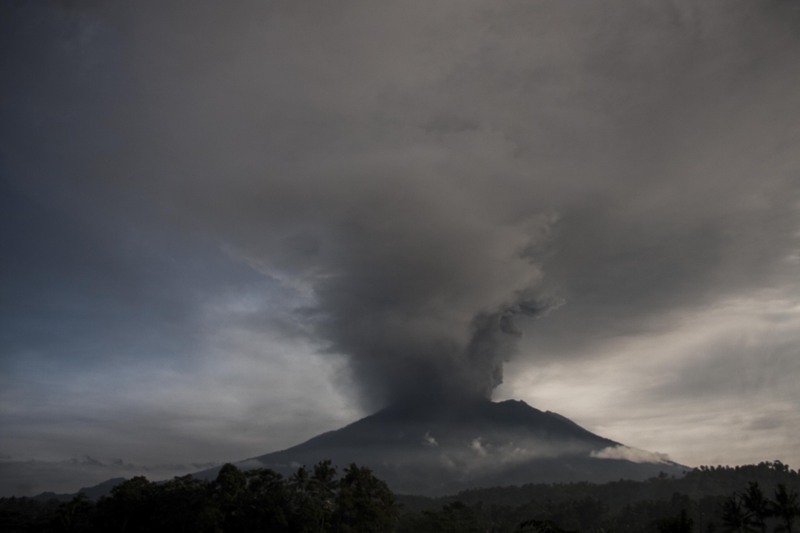 Mount Agung erupted twice in May of 1963. Back then, 75,000 people were evacuated, and 1,500 died. Many are choosing not to leave during this eruption based on the fact that their area was not affected 50 years ago. Geologist Mark Tingay stated to BBC News that Agung appears to be moving into the next phase of eruption in which the glow of lava will become visible from the crater. 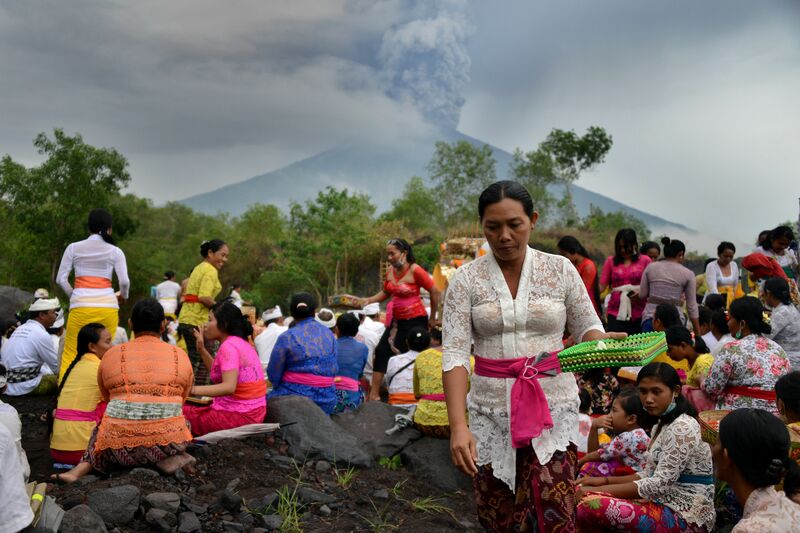 It’s unclear how severe the eruption will be, but Tingay noted that Indonesian officials have been preparing for this event for months. The first volcanic tremors from Agung were felt back in September. Officials are currently working to distribute masks to locals in areas where ash has begun to rain down. These areas include North Duda, East Duda, Pempetan, Besakih, Sidemen, Tirta Abang, Sebudi, Bhuana Amerta in Klungkung, and some villages in Gianyar. Scientists are using seismometers and satellites to monitor the tremors and gas levels, which can help predict what might happen in the near future. Agung is just one of 130 active volcanoes in Indonesia. The country sits on the Pacific “Ring of Fire,” where tectonic plates often collide and cause volcanic activity. We hope that the volcanic activity will end soon and cause minimal damage to the island of Bali.